Abstract: Market access is the process by which a pharmaceutical company gets its product available on the market after having obtained a marketing authorization from a regulatory agency and by which the product becomes available for all patients for whom it is indicated as per its marketing authorization.It covers a group of activities intended to provide access to the appropriate medicine for the appropriate group of patients at the appropriate price (in most countries). Market Access may also be seen as activities that support the management of potential barriers, such as non-optimal price and reimbursement levels, the restriction of the scope of prescribing for the drug or complicated prescription writing or funding procedures.Since there are cultural differences among countries, any Market Access strategy needs to be culturally sensitive.Pharmaceutical Market Access in emerging markets has been extensively discussed in our previous book, published in 2016. The present book focuses on developed markets with the goal of helping students, academics, industry personnel, government workers, and decision makers understand the environment in developed markets. Market access is the process by which a pharmaceutical company gets its product available on the market after having obtained a marketing authorization from a regulatory agency and by which the product becomes available for all patients for whom it is indicated as per its marketing authorization.It covers a group of activities intended to provide access to the appropriate medicine for the appropriate group of patients at the appropriate price (in most countries). 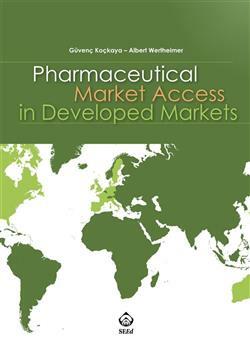 Market Access may also be seen as activities that support the management of potential barriers, such as non-optimal price and reimbursement levels, the restriction of the scope of prescribing for the drug or complicated prescription writing or funding procedures.Since there are cultural differences among countries, any Market Access strategy needs to be culturally sensitive.Pharmaceutical Market Access in emerging markets has been extensively discussed in our previous book, published in 2016. The present book focuses on developed markets with the goal of helping students, academics, industry personnel, government workers, and decision makers understand the environment in developed markets.